Sometimes in life you get opportunities that you just have to take …. 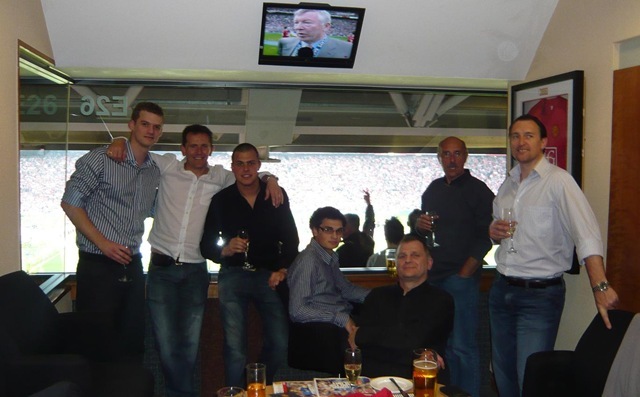 and one just came to this old Manchester United supporter … a chance to watch my team play from a corporate box against Arsenal … and I could take my son, Krysh, too! We only needed a draw to win the Premier League (again) … and a draw is what we got! Like an earlier post, I took lots of photos and patched them together using Microsoft Image Composite Editor. I love that tool! 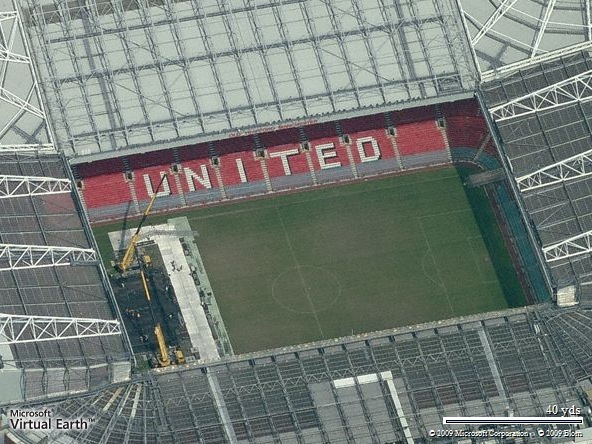 I last went to Old Trafford over 20 years ago … it didn’t look like this then … this is the East Stand. The match was 0-0, but that was enough to be presented with the Barclay’s Premier League title for the 3rd consecutive year … that’s 18 in total! Thank you to everyone who made it such a great day!